Story Contracting are pleased to announce a new appointment to its board of directors. John joined the business in February last year from Balfour Beatty to head up the Rail division’s operations in Scotland. 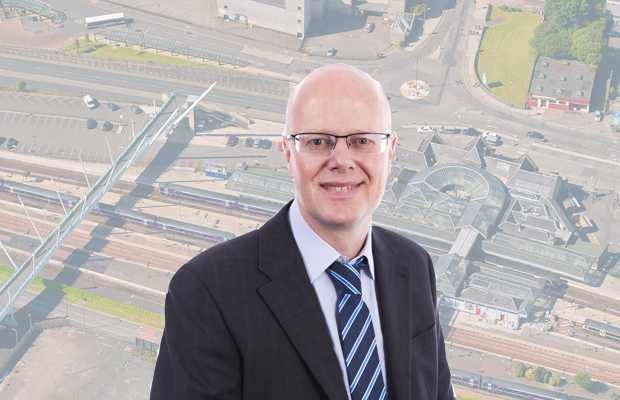 With over 26 years’ experience in civil engineering John will become Rail Director – Scotland. John will set, lead and manage the strategic direction and delivery of a safe, profitable and sustainable Rail business in Scotland. John will also be accountable for creating and embedding a culture of high performance, client satisfaction and continual improvement. In 2014, Story Contracting was awarded one of four major Network Rail framework contracts for Scotland focussed around works in stations and depots. Recent projects include a platform refurbishment at Glasgow High Street station, glazing and canopy works at Stirling station, platform extension scheme at North Berwick station and a number of Access for All Schemes most recently at Elgin and Blairhill stations. In addition, Story are currently delivering the track slab replacement within Queen Street Tunnel, a critical element of the Edinburgh Glasgow Improvement Programme.